The majority of medical practices are paying too much for their medical billing. It is quite likely that your practice is overpaying by a significant margin. If you outsource already you may have a medical billing service that lacks scale and doesn't understand your specialty. In situations like this, the medical billing service will often charge you what "seems" right to them but is actually double what a medical billing service with the proper scale and expertise in your specialty would charge. In addition, your medical billing service may not offer a full suite of medical billing functions and forces you to retain medical billing employees. For instance, perhaps they expect your office to enter the demographic and charge data, correct claims errors, take patient phone calls and/or perform claims follow-up. If you add the costs of performing this work to what the medical billing service charges, you will find you are paying too much for your medical billing outsourcing. If you have your billing in-house you likely have a billing office that is overstaffed. This can be driven by old and cumbersome billing software; a disorganized and chaotic medical billing process; ineffective billing staff or billing supervision; or high employee turnover which prevents you from ever reaching "steady state" operations and efficiency. No matter the cause, your practice can easily find itself with one or more medical billers for each provider. If this is the case, you are paying too much internally. These costs can easily equal 20% of your labor costs (i.e., if you spend $10,000 for billing employees each month you are likely spending at least an additional $2,000 each month on the costs outlined above). Secondary claims that are never submitted or pursued. 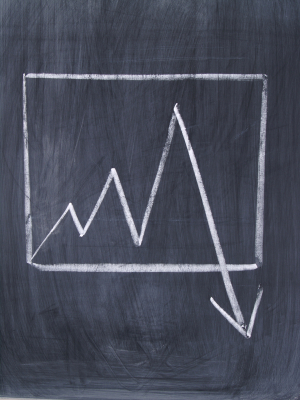 This lost revenue can easily be costing your practice 10% to 20% of your potential revenue. For most practices, this lost revenue more than doubles the actual cost of billing (i.e., continuing the example from above, if the labor and non-labor costs of internal medical billing are $12,000 per month, then the lost revenue is likely at least an additional $12,000 per month - for this example, the true cost of internal billing is at least $24,000 per month). Only written Service Level Guarantee in the industry. To learn more about how ClaimCare Medical Billing Service can save your money and recover your lost revenue please fill out the form at the top of this page or call a local ClaimCare office. "Now I can practice medicine and stop worrying about my medical billing"
"My days in AR went from over 75 to under 35. Selecting ClaimCare was the best decision I ever made." "My collections have increased by over 30% and my days in AR have dropped below 35. I cannot say enough good things about ClaimCare's service."